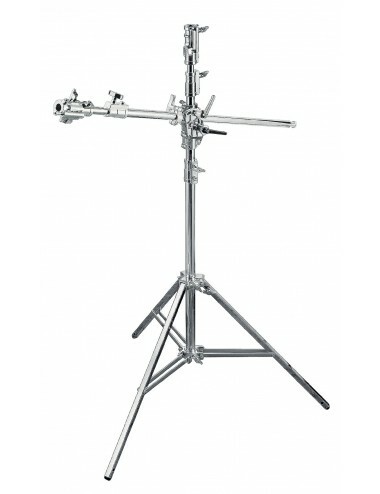 This kit includes a turtle base chrome plated or black steel stand (code A2033L) with 3 sections and 2 risers. 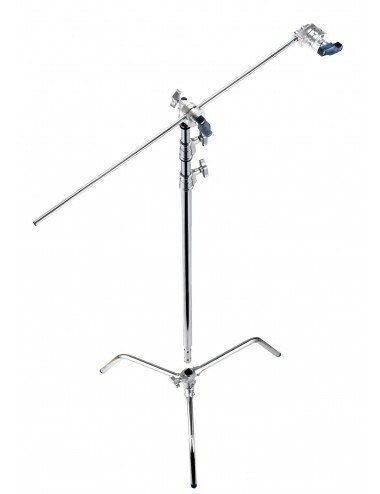 It also includes D200 or D200B grip head and D520 or D520B 40'' (124cm) extension arm that provides extended grip point for scrim, flags and small lights. 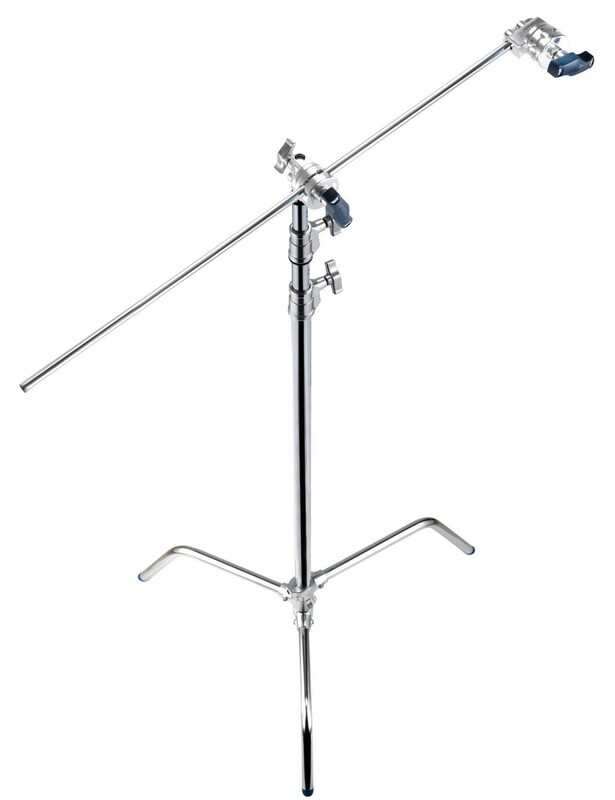 It features one sliding leg to keep the stand steady on uneven surfaces (only in A2033LKIT).